For the time being, the entire earth and the boundless sky. 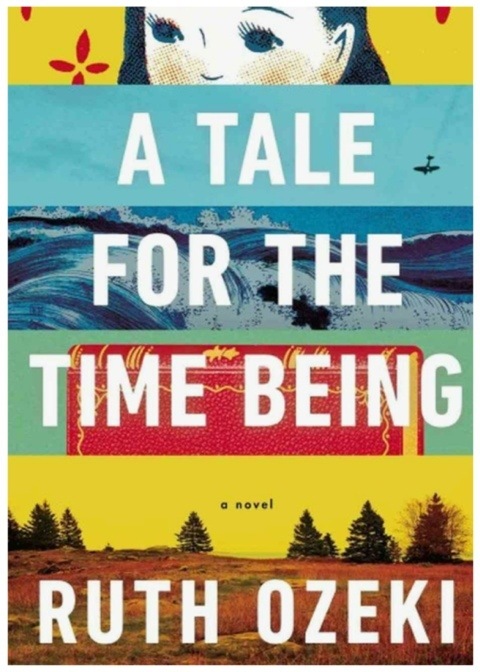 Iam currently reading A Tale For The Time Being by Ruth Ozeki and like Italo Calvino’s If On A Winter Night A Traveler, the book opens with a thought of it being read, speculating on what the reader was doing or thinking while reading the book. if you’re reading this, then maybe by now you’re wondering about me, too. Are you in a New York subway car hanging from a strap, or soaking in your hot tub in Sunnyvale? Are you sunbathing on a sandy beach in Phuket, or having your toenails buffed in Brighton? Are you a male or a female or somewhere in between? Is your girlfriend cooking you a yummy dinner, or are you eating cold Chinese noodles from a box? Are you curled up with your back turned coldly toward your snoring wife, or are you eagerly waiting for your beautiful lover to finish his bath so you can make passionate love to him? Do you have a cat and is she sitting on your lap? Does her forehead smell like cedar trees and fresh sweet air? Actually, it doesn’t matter very much, because by the time you read this, everything will be different, and you will be nowhere in particular, flipping idly through the pages of this book, which happens to be the diary of my last days on earth, wondering if you should keep on reading. And if you decide not to read any more, hey, no problem, because you’re not the one I was waiting for anyway. But if you do decide to read on, then guess what? You’re my kind of time being and together we’ll make magic! Sounds interesting no? It seems this and the following pages are taken from a diary of a teenage girl. Let me read more and I will tell you all about it later on.